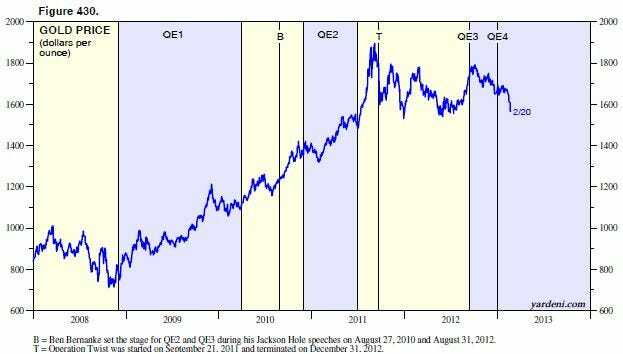 Over the past few years, I’ve been asked on several occasions about my opinion on gold. I responded that my problem with gold is that I only know how to value assets with coupons, dividends, or earnings. 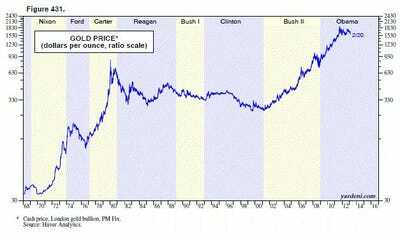 I also observed that the price of gold had already increased sevenfold since January 20, 2001. That was when George W. Bush gave his first inaugural address. It was $265 per ounce back then, and soared to a record high of $1,895 on September 5, 2011. It was even a better buy in 1964, when “Goldfinger” was released and gold’s price was pegged at $35 an ounce, as it had been since 1934 and remained until Nixon took the US off the gold standard in 1971. Yesterday, the price tumbled $41 to $1,563, down $229 from last year’s high and $332 from the record high.The recent plunge in the price of gold happened despite a bullish Valentine’s Day press release just last week from the World Gold Council, the London-based industry group. It reported that central banks boosted gold purchases by 29% to 145 metric tons in Q4-2012, an eighth successive quarter of net buying. In the full year, the central bank bought 534.6 tons of the precious metal–the most since 1964, when Goldfinger plotted to nuke Fort Knox! On the other hand, demand for gold in India was down 12% last year and flat in China. ETF demand rose 51% last year, but was down 16% q/q during Q4-2012, as many hedge funds bailed out. Other than profit-taking, what might be the fundamental reasons behind gold’s weakness? 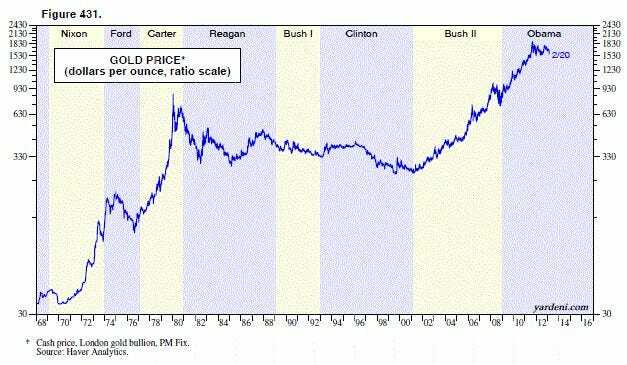 Perhaps the most important reason for the weakness in gold is that after three years of “living dangerously”–with lots of panics about apocalyptic endgame scenarios–the global economic and financial outlook is improving. That means that central banks may start to ease off on easing.